The eXploregio.mobil is a multi-functional experimenting vehicle in the form of a fold-out trailer. 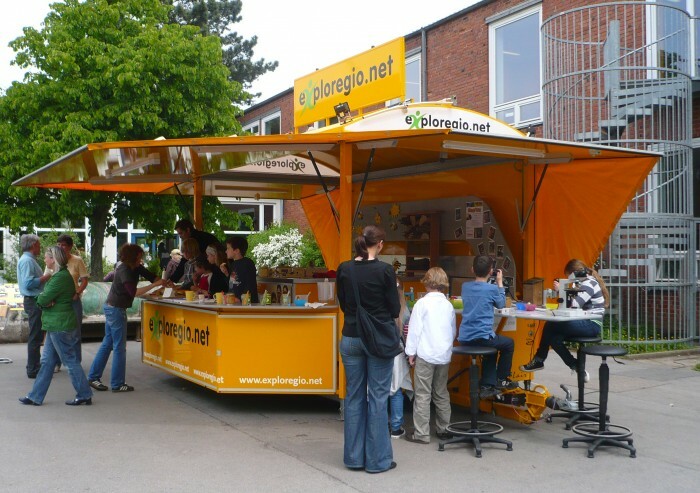 The bright-yellow eXploregio.mobils presents the network of extracurricular learning locations as an experimenting station, which rolls directly into the school-yard. Earth – dirt or more? How do pollen grains get into the honey? In the 1 – 3 days that the eXploregio.mobil is at a school, pupils in groups of 20 from grades 2-4 can survey the experiments. 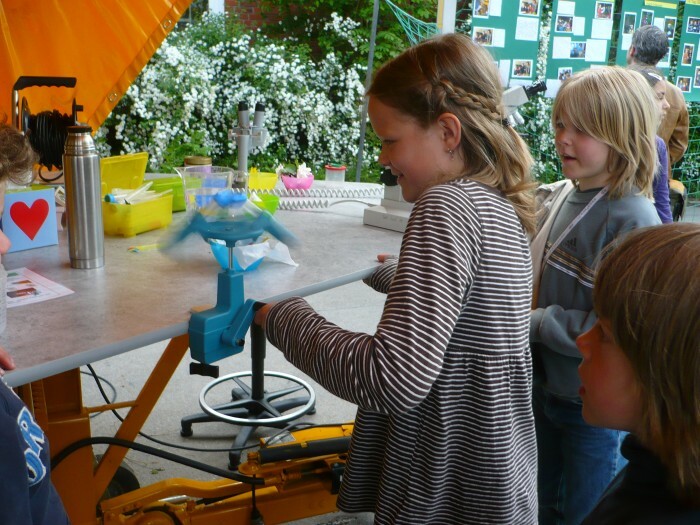 The approach of both the eXploregio.mobil as well as the extracurricular learning locations is to let pupils work independently at hands-on stations. 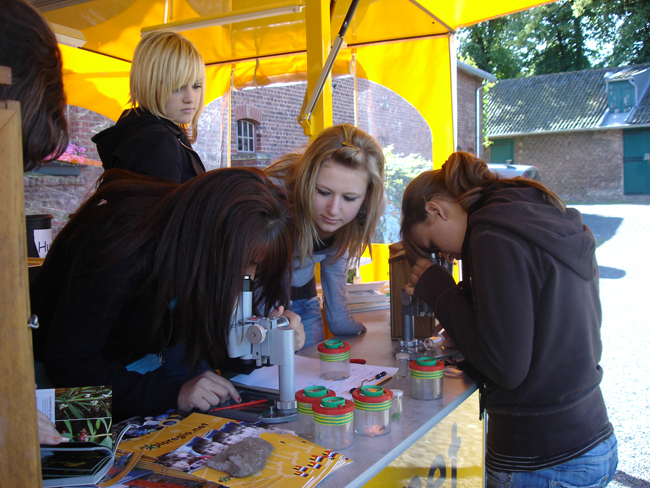 The experiments are mainly lent from everyday situations and facilitate learning with all the senses and obviously with a lot of fun, as many pupils remark in their feedback. Working in a team and classifying information and results is another “researcher's” experience which can also be made in this short time.